No, this project not going to set the sewing world alight with it's complexity, but the fact that I have managed to make something, let alone something that is actually wearable, means that I win. My baby girl blessed me with a succession of tiny windows of opportunity (opportunities that perhaps I should have spent napping or trying to excavate the lounge under all the nappy sacks) to make her cousin Anya (18 months old) a couple of pairs of leggings for Christmas. 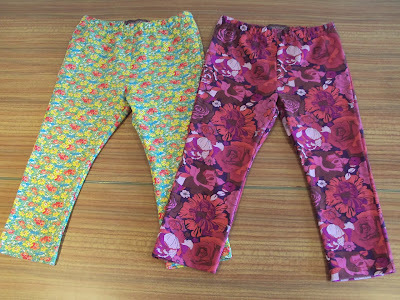 This pattern is a super simple toddler leggings pattern that consists of two pieces, a front and a back. I omitted the knee patch piece, but I have some ace ideas for making knee patched versions in the future. 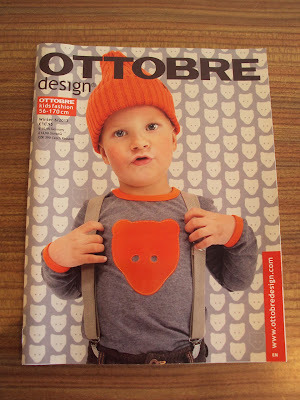 To be honest I haven't really got my head round baby and toddler sizing yet. 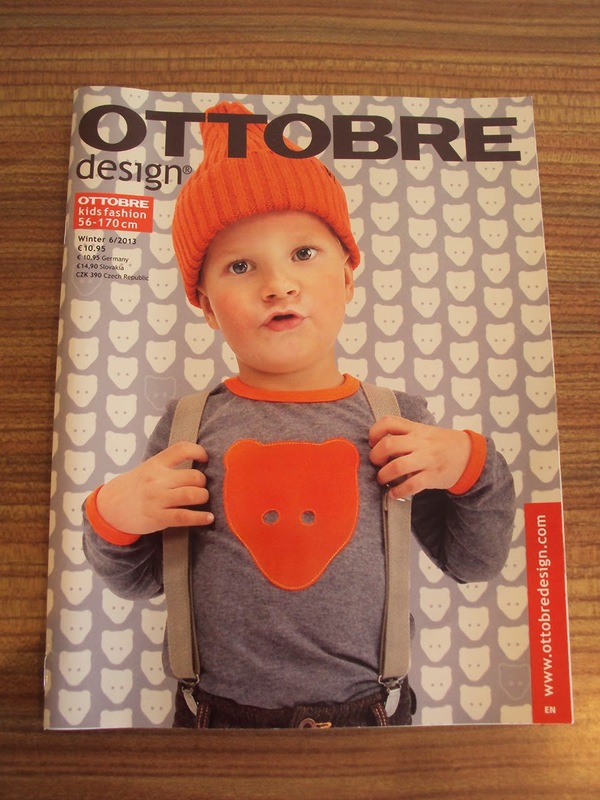 These magazines use height guides rather than age suggestions, plus I haven't figured out if Ottobre patterns generally come up big/small etc. They then confuse things further by telling you age and heights of the models wearing the style. It nearly melted my sleep-deprived mind. But after some texting with my sister-in-law and further deliberation, I chose to make the smallest size (92cms) but add about 4cms to the leg length just in case. In the end they did come out a bit long, but they looked pretty cool with turn ups and it means that they should have a longer lifespan. 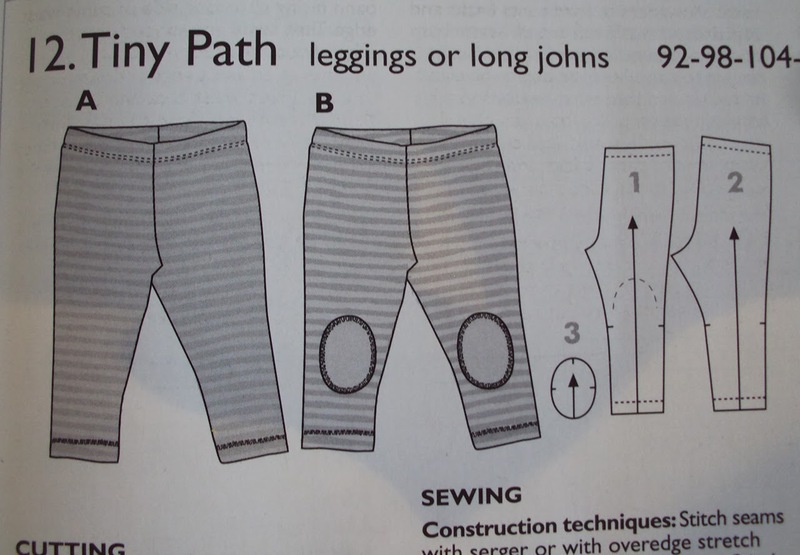 The pattern is a great basic, but I feel that the illustrations are a little misleading. Even taking into account the extra 4cms I added to the leg length, I think the final garments (as seen at pictured at the top of this post) came out quite different in proportion to the stubby, baby wear-esque illustration in the magazine (pictured above). Anya is quite a girly girl so I chose some fabric from my stash that reflected that. The fabric on the left is some Liberty jersey that I've had knocking about for about as long as Anya is old. 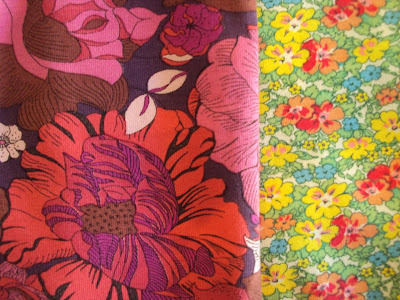 The fabric on the right I've had for longer, I acquired it at a sewing meet up/swap in Brighton a couple of years back, I think it used to belong to Tilly. Both are very sturdy jerseys with a good recovery, just what you need for a toddler, I'd imagine. These garments are obviously pretty plain and functional items, so I added these little labels (also acquired from a sewing meet up/swap) to make them a little more special. I also think it's handy to clearly indicate in some way which is the front and back on an ambiguous garment style like this, particularly as getting babies and children dressed can be like trying to wrestle an octopus! I think these came out really well and I was pleased to see got quite a few wearings by Anya whilst we were in town visit Pat's family. I'll definitely be making a whole stack of them for Dolores when she is big enough in a variety of solids and prints. I'll probably be doing that instead of napping. 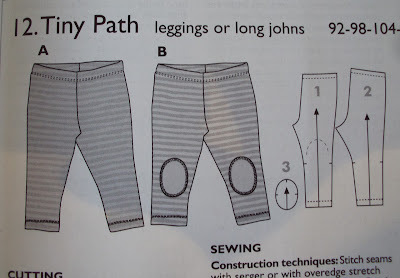 If you sew for babies/toddlers/children, do you have a favourite 'workhorse' pattern that you come back to again and again? 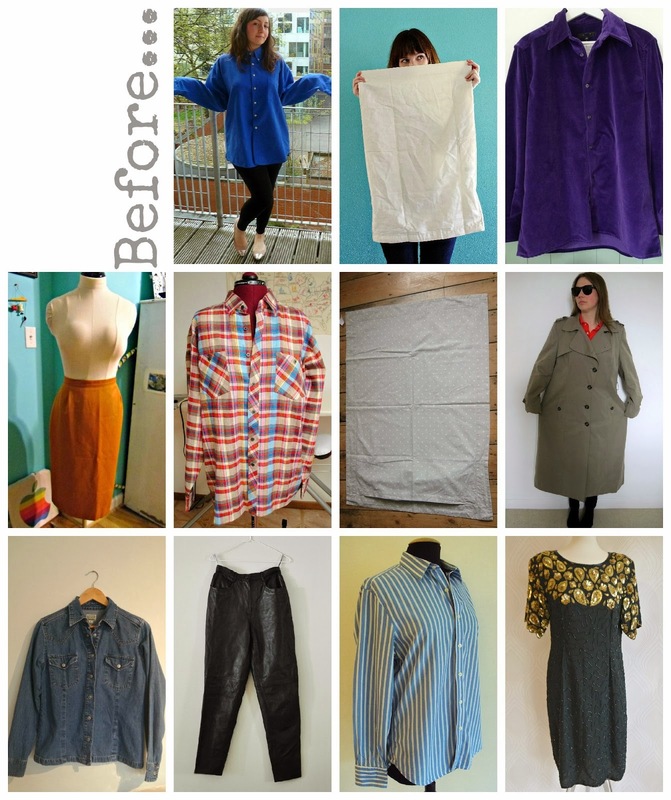 Goodbye 2013: Plus Sewlution Success! 2013 saw the most well-subscribed, exciting and vibrant me-made/self-stitched challenge yet. 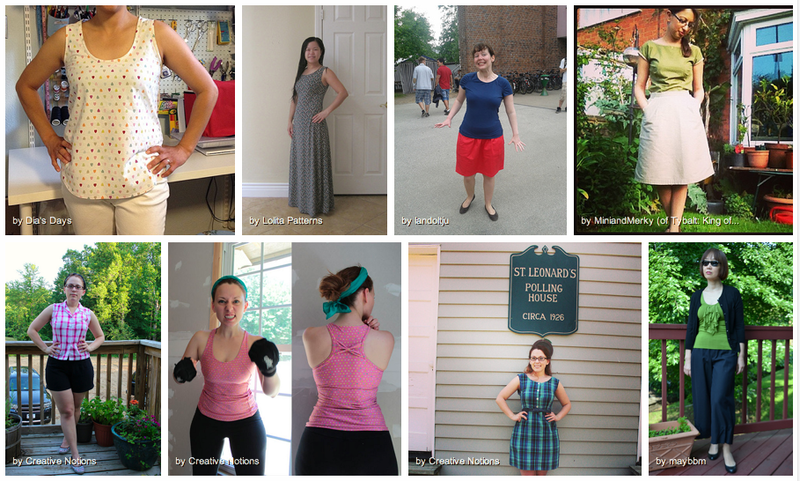 So many people signed up for Me-Made-May '13 by pledging to wear their self-made creations more often, and the flickr group reflected that with over 6000 outfit images posted there! You can hear (yes hear) me chatting about the challenge here. I'm so excited about 2014's Me-Made-May! 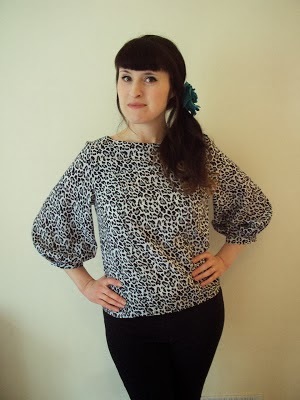 Along with a large slice of the online sewing community, I took up the challenge set by Karen from Did You Make That? at the tail end of 2012 to identify our own sewing aims for the forthcoming year. My personal sewlution was to make 12 garments in 12 months. But not just any old makes, I specified that these garments had to be successful in the areas of comfort, fit and in reflecting my sense of style. These items had to become regularly worn items, not just items that get dragged out for Me-Made-May! 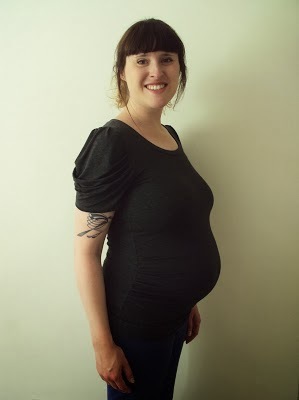 PLUS there was the spotty maternity T-shirt remake and the fancy-sleeved grey T-shirt (pictured above) if you don't think the bag should count in the list! So you see: sewlution success! 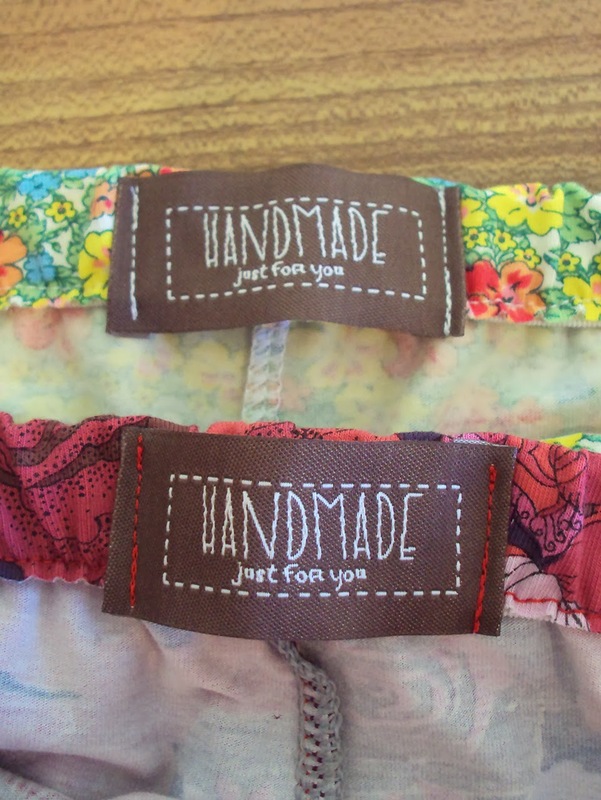 How did you get on with your sewlution if you took up the challenge last year?